As you approach Armagh, you’ll notice its most distinctive landmarks right away. From opposite hills, two striking cathedrals face each other across a valley, both honoring St Patrick. 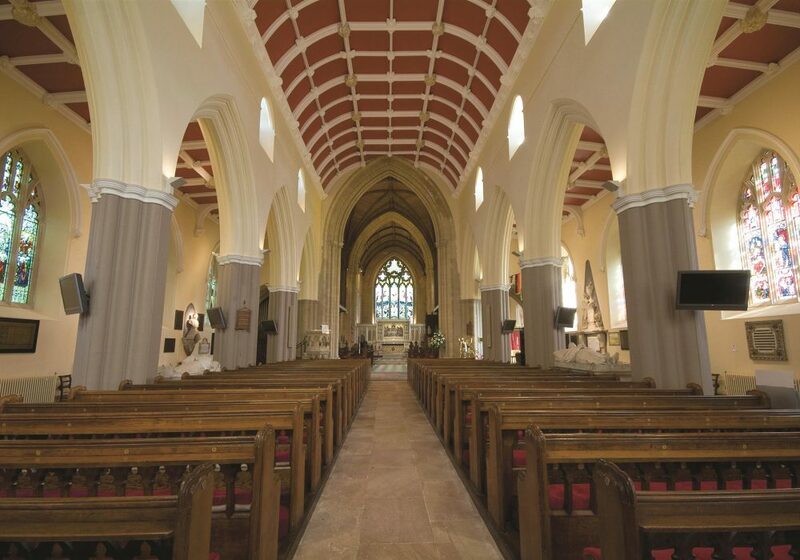 Saint Patrick first built a stone church on the hill of Armagh in 445AD and there has been a Christian church on the site where the Cathedral stands ever since. The plan of the Cathedral, as it now stands, is the design of Archbishop O’Scanlain in 1268 and it was last restored in 1834. The High King of Ireland, Brian Boru, was buried in the Cathedral grounds in 1014. 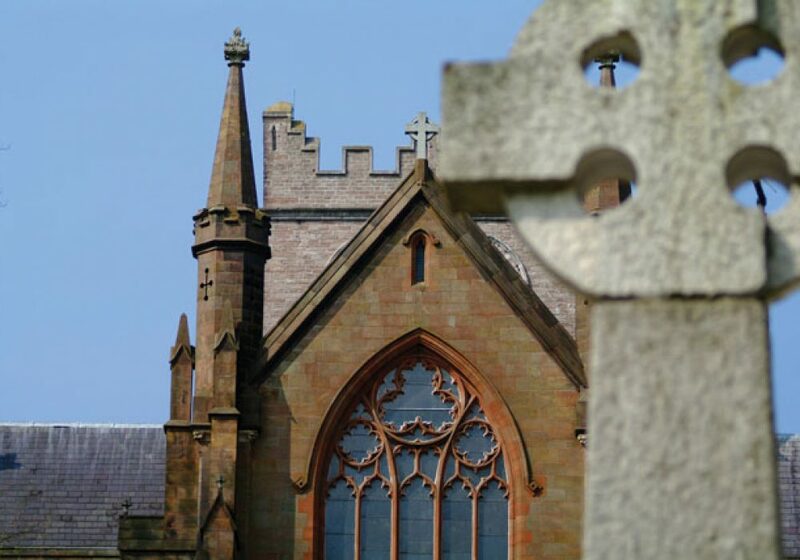 The Church of Ireland Cathedral of St Patrick, Armagh, is set on a hill from which the name of the city derives – Ard Macha – the Height of Macha. Macha is the legendary pre-Christian tribal princess, some say fearsome goddess of war and fertility. 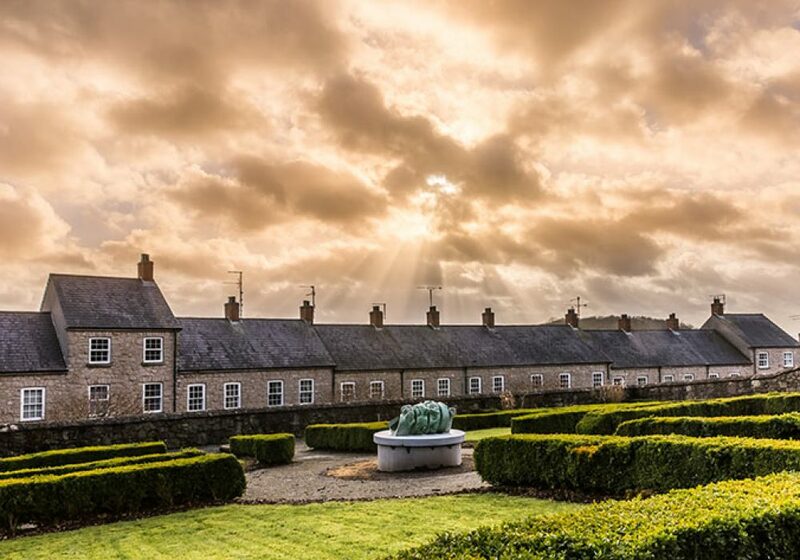 Armagh has been the spiritual Capital of Ireland for 1500 years and is the seat of the Church of Ireland archbishop. 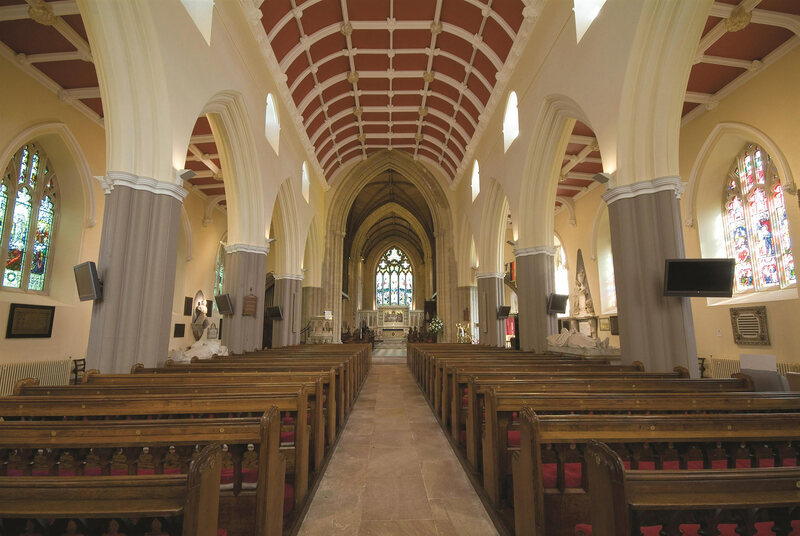 Visit Saint Patrick’s Church of Ireland Cathedral and come face to face with inspiring architecture that continues to attract people from all over the world. 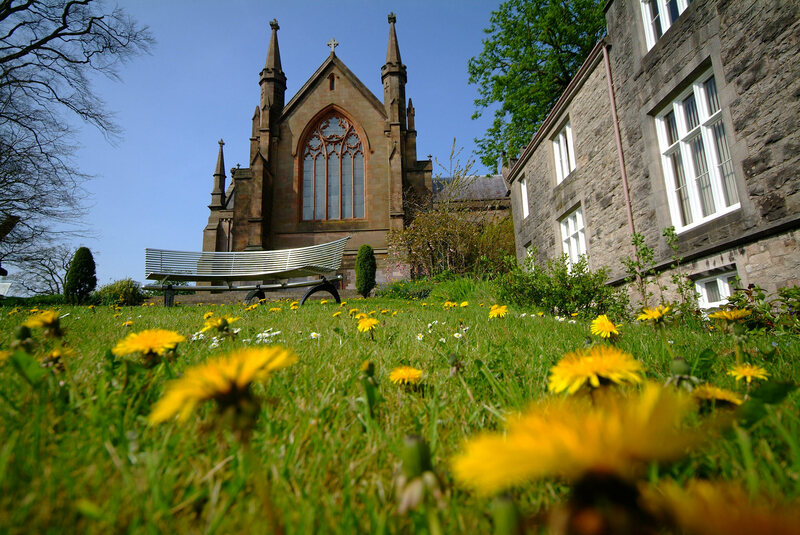 The cathedral is a stout russet-coloured Gothic restoration surrounded by picturesque rose gardens and broad green spaces flecked with family gravestones. A monastic herb garden is laid out in the simple pattern employed by the early Christian monasteries. The Cathedral contains many relics of history, among them an 11th century Celtic cross and a number of sculptures from the Iron Age to the 20th century. 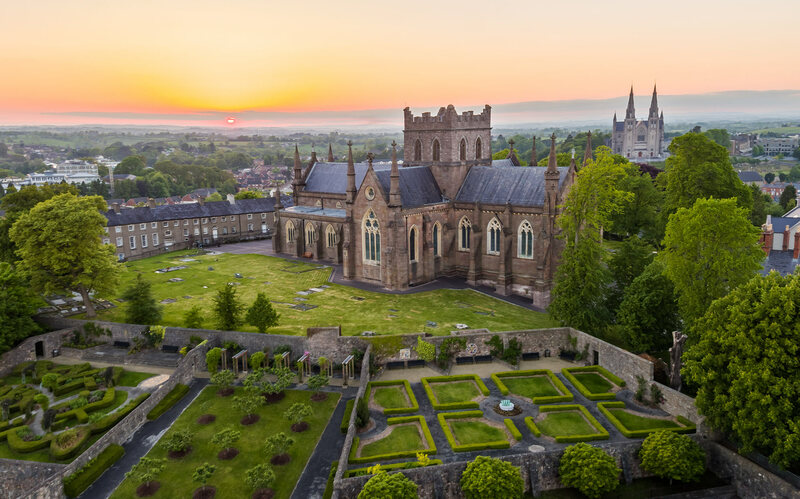 Visitors can view stone carvings inside the Cathedral, some of which date from 500-1000 BC, and climb the unusual staircase leading to the Belfry with eight bells, The Cathedral also features the tomb of Archbishop Robinson and is the burial place of High King of Ireland, Brian Boru. 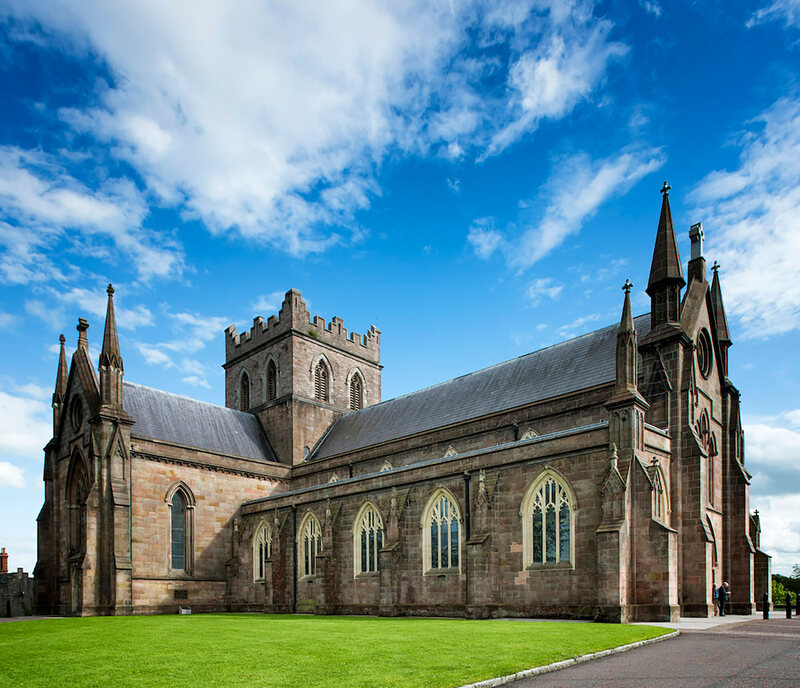 St Patrick’s Cathedral is home to a host of great events throughout the year and is one of the key venues during the annual Charles Wood Summer School. 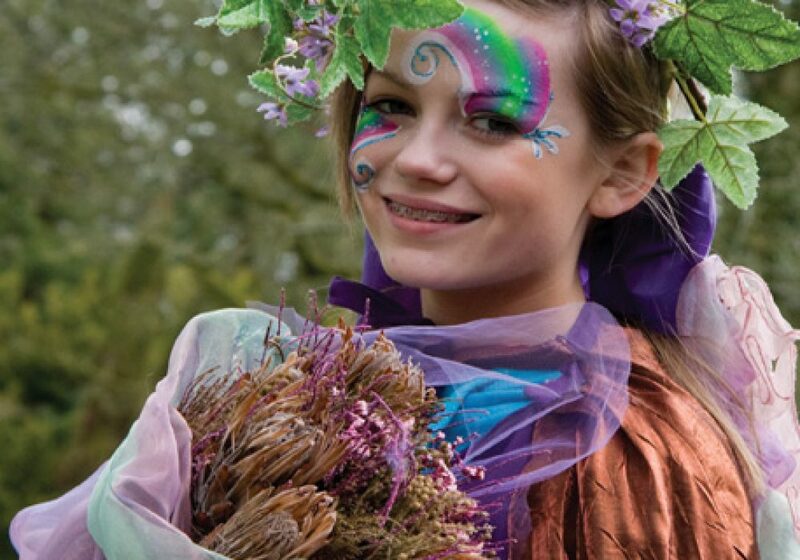 Admission: Adults £3.00 €3.50 $5.00 , Concession £2.00 £2.50 $3.00 and children under 18 are FREE. 1-24 people – £3.00 €3.50 $5.00 per person, 25+ people – £2.00 £2.50 $3.00 per person. 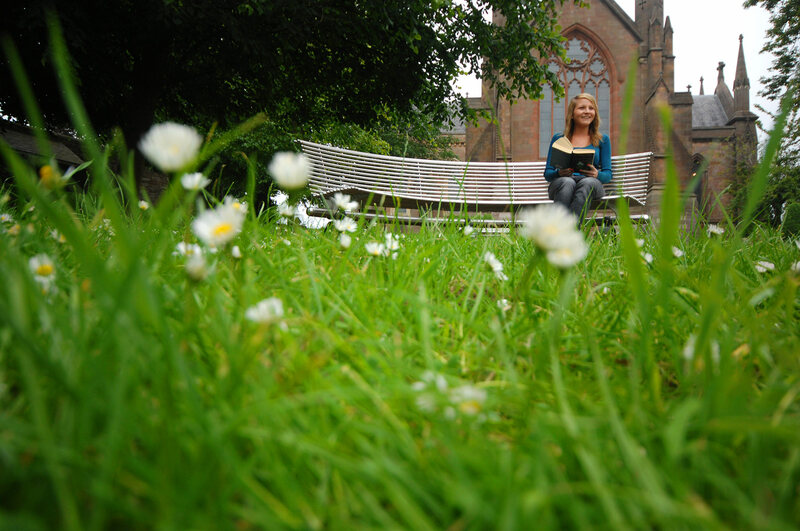 The Cathedral offers two full choral services each Sunday. In addition, a daily service, usually the office of Matins, is said and holy days are marked by a celebration of the Eucharist. 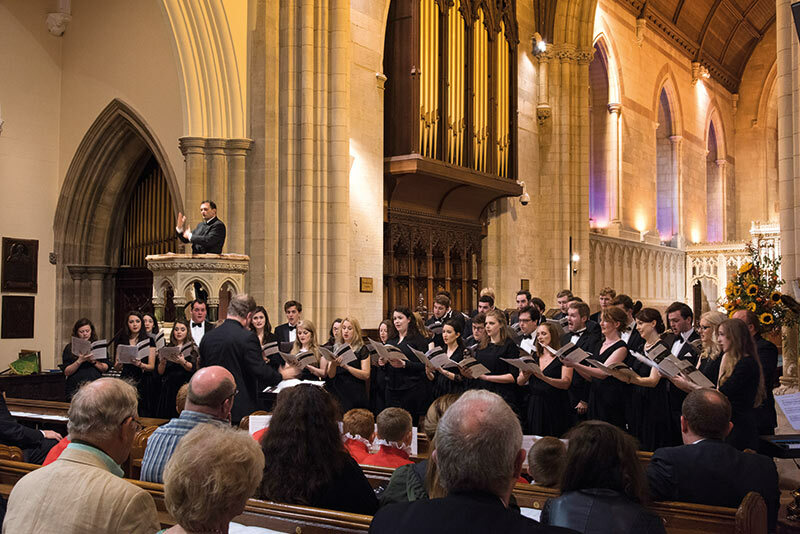 For the wider community, the Cathedral hosts ecumenical and civic services, stages concerts and recitals and is used by schools and organisations on other occasions. Take a guided tour of the Cathedral where you will find an unbroken line of bishops since Saint Patrick. 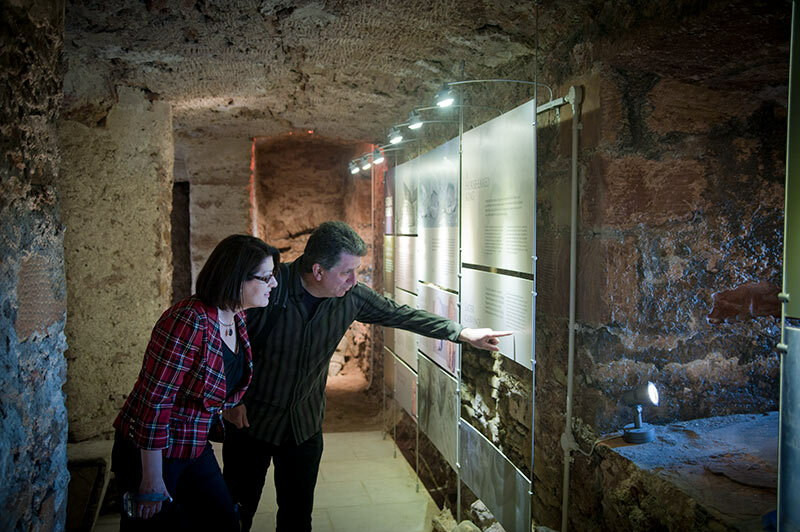 Then visit the Cathedral crypt which is part of the 13th century foundations and learn about the people who are entombed there.